After the disappointment of Warwickshire’s 2017 season, a young, talented player can provide some hope and encouragement for fans as they go in search for promotion to get back into Division One. Henry Brookes may just be that player, a seam bowler who has been at Warwickshire since the age of nine, making him no stranger to Edgbaston, who is ready to make inroads again to prove he can be a consistent performer in the County Championship. Brookes made his first team debut in the back end of last season in a game against Essex and seemed to make a good impression early on. He has certainly impressed a lot of people in the Warwickshire setup including players, staff and members, with Sport Director Ashley Giles branding him as a ‘potential superstar’. “It’s nice to put your name out there and hopefully I can do the same this year,” Brookes said at the club’s annual pre-season media day. Brookes first made a breakthrough when he was selected to go on tour with the England Under 19s to India where he put in numerous strong performances and upon his return got invited to join Warwickshire on their pre-season tour – which was a perfect opportunity to put his name out there again. Throughout the season he commented on making consistent performances for the second team, which led to him being able to break into the first team and an opportunity he was very thankful for. At the end of Warwickshire’s County Championship fixtures they intended to give the younger players a chance to show off their skills and Henry did just that, it seems, judging by the plethora of praise that has come his way. Brookes is now training with the first team and has been all winter, which says has been very rewarding. It was clear that Henry is extremely keen to earn a space in that County Championship side once again and to be on the team sheet for the first game against Sussex. Brookes outlined his own personal aspirations for the season and also where he wants himself and the club to be over the next few years. ‘’I want to play as much first team cricket for the club as possible,” Brookes said. “My ultimate goal is to play in all three formats and make sure I put performances in. 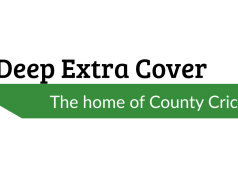 “Over the next few years the aim is to try and win the County Championship. For me personally I want to make sure I cement that spot in all three formats. At the age of just 18, the drive in Brookes is exceptional and his motivation to do well for Warwickshire, helping search for silverware in any way he can is unquestionable. 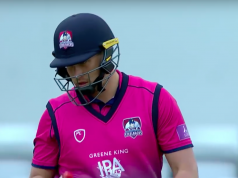 Offering pace and swing, he has the chance to give the Warwickshire bowling attack a new lease of life and can have his eyes set on showing that when the more senior bowlers decide to call it a day, he can provide performances which are just as good. He also spoke about Warwickshire’s aspirations for this season and there was an obvious emphasis on promotion from Division Two, which is what all fans are hoping for. With Jeetan Patel returning to Edgbaston, but now as captain, there is plenty of anticipation around on how the push for promotion will fare. Brookes explained the influence that Jeetan has on the club and those around him and also spoke about the impact of bowling coach Pop Welch on his own development. “Jeetan is a well-respected bloke at the club, who has done so much for Warwickshire and he’s always someone who will be looked up to,” Brookes said. 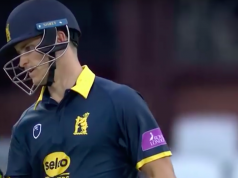 Warwickshire will begin their Championship fixtures hoping to start as they mean to go on and Brookes will also want to start by having his name on the team sheet. The fresh talent that he is will be focusing on making himself a consistent name throughout the season, in the hope of putting in strong contributions to the push for promotion. He no doubt will be a great player for Warwickshire in seasons to come.